Ozone is naturally found in the atmosphere and is safe to use for both commercial and residential cleaning. Do I need to wear protective clothing? It is not necessary to wear protective clothing; however, as with all cleaning, custodial workers are encouraged to wear gloves as well as goggles. Aqueous ozone systems create ozone mechanically and then infuses it into water; when applied to surfaces it has proven to be effective at eliminating germs, odors, stains, mold, mildew, and other contaminants. Does aqueous ozone work like a disinfectant? Is there a residue left on the surface after cleaning? No. This is one of the key benefits of this technology. After cleaning, the water simply evaporates and the ozone reverts back to oxygen. Does the machine look like a spray-gun? No, not at all, in fact cleaning professionals may not even see the machine. Some systems have “fill stations” connected directly to cold water pipes under a counter where the aqueous ozone can be accessed. 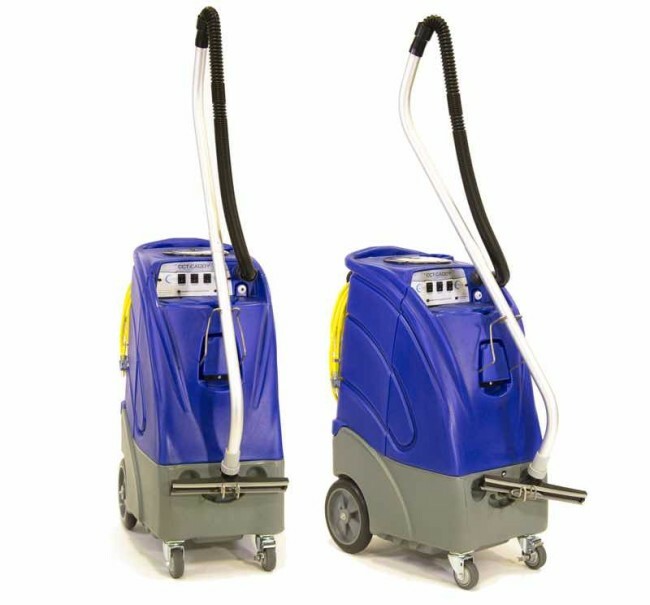 Why are we transferring to aqueous ozone cleaning systems? “The best way to answer this question is to say that these systems are proven effective and are the next step in green cleaning,” says Montag. “Essentially they have no impact on health or the environment.” *Aqueous ozone systems should not be used in place of an EPA-registered disinfectant. It's super short and really fun! Send us your info using the form below and a sales rep will contact you the next business day.